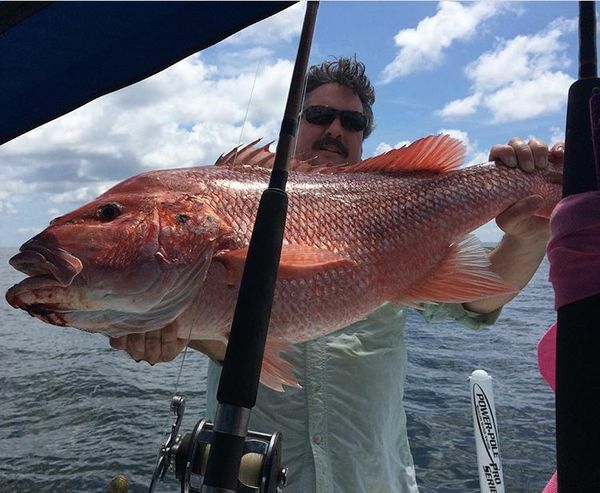 Red snapper are without question the poster-children of coastal fishing in Alabama, generating tens of millions in charter fees, lots more in fish market and restaurant sales, and drawing thousands of anglers to the coast to pump up resort and motel income. But in recent years, that draw has slumped as federal fishery managers clamped down on open seasons due to fish population estimates indicating overfishing of the species. All waters more than 9 nautical miles offshore are controlled by the federal councils, so a closure offshore amounted to a significant limitation of the fishery. Fortunately, red snapper appear to have recovered dramatically – or perhaps the feds have seen that some of their estimates were grossly too low, as is believed by many coastal anglers. In any case, the harvest regulations have gradually eased, and last week at the Gulf of Mexico Fishery Management Council meeting in Biloxi, the council voted to delegate authority for managing the recreational red snapper seasons to the Gulf states beginning with the 2020 fishing year. Alabama was allocated just over 26 percent of the total gulf recreational red snapper quota, according to David Rainer, of Alabama Department of Conservation and Natural Resources. The Council also will allow a state to close areas of federal waters adjacent to the state by requesting that National Marine Fisheries Service (NMFS) implement the closure. Alabama Marine Resources Director Scott Bannon is pleased with the Council’s decision.